Apple cider vinegar is one of the many vinegars that is acceptable to use for home canning; it’s also one of the more popular ones in North America. 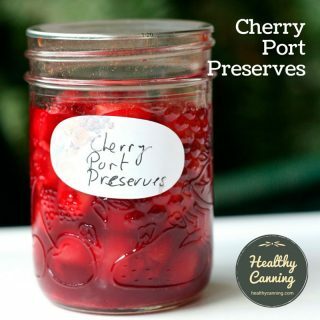 It can make some pickled foods a bit murkier, but many swear that the taste improvement is worth it. Apple Cider Vinegar (also called just “cider vinegar”) is as acceptable to use in home canning as any other vinegar, provided that it has a strength of 5% or higher. The difference that it brings to home canned products is taste, and colour. The taste of products using it will be mellower and less harsh than products made with white distilled vinegar. It can, though, darken your product. This won’t matter if you are making a chutney, but it might matter to you if you are making Icicle Pickles. 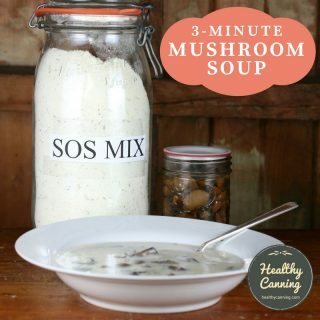 Usually tested recipes will specify whether they want apple cider vinegar or white distilled vinegar. Provided both are, again, 5% or higher, this is absolutely one swap you can make in a recipe, provided that your audience will be okay with pickled products possibly looking a little darker. If you hear your audience complaining that your pickles are tasting a little “harsh”, then you probably need to switch to apple cider vinegar for them and tell them you won’t want to hear any nonsense about colour, because they can’t have it both ways. 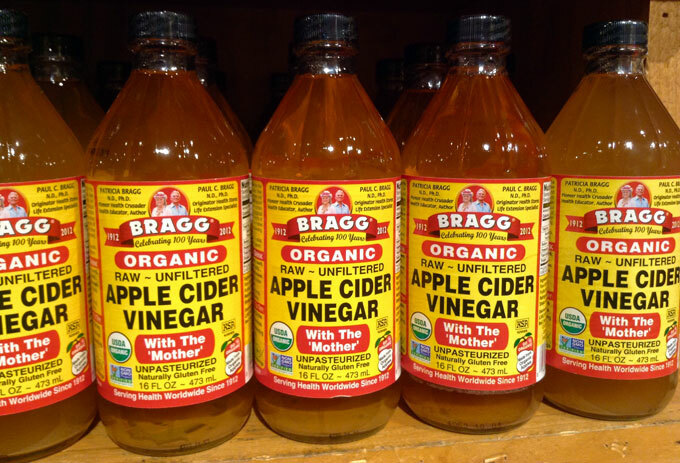 It is fine to use unfiltered or unpasteurized brands of cider vinegar such as Bragg’s, Heinz unpasteurized, etc, even if it retains the “mother” of vinegar in it, as long as it remains 5% or higher. Such cider vinegars may add even more taste, but may cost more. You may wish to browse on Amazon some of the various brands of apple cider vinegar available. 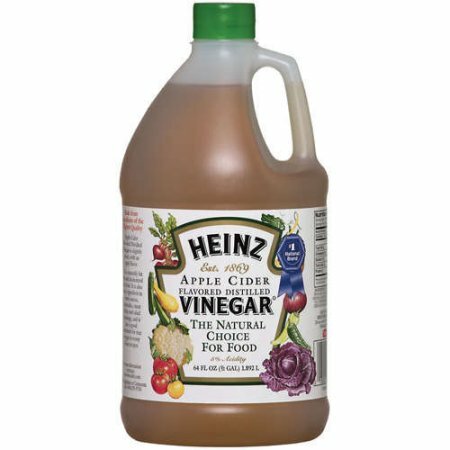 But note: by cider vinegar actual cider vinegar in liquid form is meant, not capsules or tablets, even if you soak them in water. Apple cider vinegar is not any more or less nutritious than white distilled vinegar, whether it has “mother of vinegar” in it, or not. 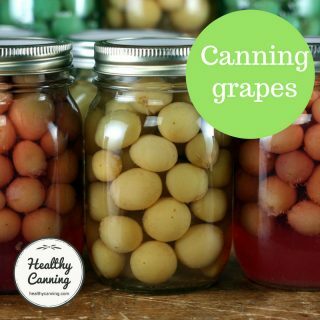 The decision to use it in home canning is based purely on colour, taste — and price. But not nutrition. Claims that apple cider vinegar has any medicinal benefits are just that — claims, and anecdotes, with no scientific evidence to back them. In other words, myth. The American Food and Drug Administration (FDA) allows no health or medicinal benefit claims in relation to cider vinegar….. Cider Vinegar is not rich in minerals, enzymes and vitamins; in fact, it’s quite the opposite. A look at its components shows you it’s quite empty of anything that could be beneficial in that regard: 1 tablespoon apple cider vinegar: 1g carbohydrate, 15 mg of potassium. No fibre, vitamins or amino acids. Negligible amounts of calcium (1mg), copper, iron, magnesium, manganese, phosphorus and sodium.” Fontenot, Beth. The sour truth about apple cider vinegar – evaluation of therapeutic use. Nutrition Forum, Nov-Dec, 1997. Cider Vinegar. CooksInfo.com Accessed July 2016. The decision to use more premium apple cider vinegars should be based on taste, as there is no nutritional difference. That being said, the taste of these premium brands can be quite noticeably different. 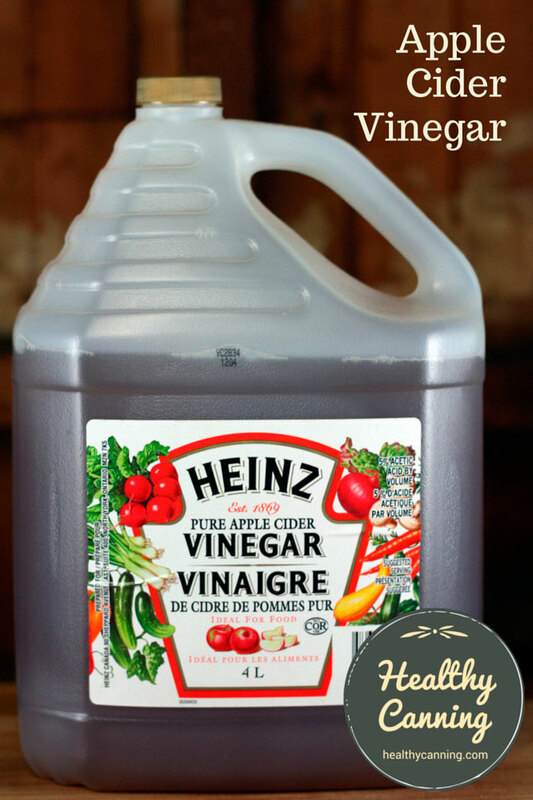 Heinz’s main cider vinegar product being sold in the States was a cider-flavoured distilled vinegar from about 1996, to July 2016. “Apple cider-flavoured vinegar took the place of real cider vinegar in many markets in 1996.. it’s priced a little cheaper than real cider vinegar.”  Ziedrich, Linda. The Joy of Pickling. Boston, Massachusetts: The Harvard Common Press. 1998. Page 10. 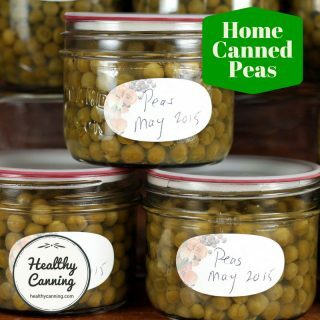 In the first week of July 2016, sometime between the 5th and the 10th of the month, HealthyCanning discovered that on heinzvinegar.com, the listing changed. The flavoured version had disappeared, and been replaced with a pure one “made from the juice of apples diluted with water to a uniform pickling and table strength of 5% (50 grains) acidity”, and available in 3 sizes — US pint, US quart and US gallon. The flavoured product remained (as of July 2016) on their catering website, and, on web sites for retail grocery stores that still had it in stock. 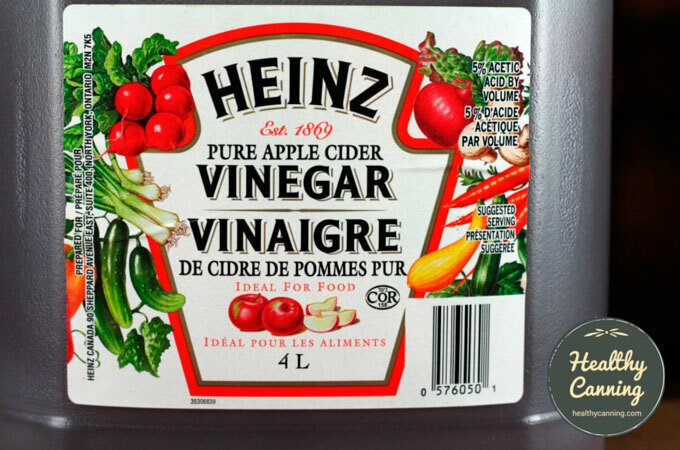 In Canada, Heinz apple cider vinegar never stopped being pure owing to the law there. “B.19.006. [S]. Cider Vinegar or Apple Vinegar shall be vinegar made from the liquid expressed from whole apples, apple parts or apple culls and may contain caramel.” Canada. Food and Drug Regulations Consolidation. C.R.C., c. 870. Division 19. 7 November 2014. Page 755. Good quality, fresh vinegar is preferred; and cider vinegar usually has the best flavor”  USDA Radio service. Homemaker’s News. Pointers on Pickles. 3 September 1940. Page 1. In 1953, the Ball Blue Book said it preferred cider vinegar over white: “Cider vinegar is usually preferred, unless a light colored pickle is wanted.” Ball Blue Book. Edition 26. 1953. Page 34. By 1963, it had flipped that recommendation around “Many people prefer to use white distilled vinegar when pickling light-colored foods like onions and cauliflower.” Ball Blue Book. Edition 27. 1963. Page 53. By 1972, a more balanced recommendation appeared: “Cider vinegar, with its mellow acid taste, gives a nice blending of flavors, but may darken white or light-colored fruits and vegetables. White distilled vinegar has a sharp, pungent, acetic acid taste and is desirable when light color is important, as with pickled pears, onions, and cauliflower.” Ball Blue Book. Edition 29. 1972. Page 55. In its 2014 37th Edition, Ball advises, “Cider vinegar imparts a mellow acid flavor while white vinegar gives vegetables a sharp pungent acidic taste. 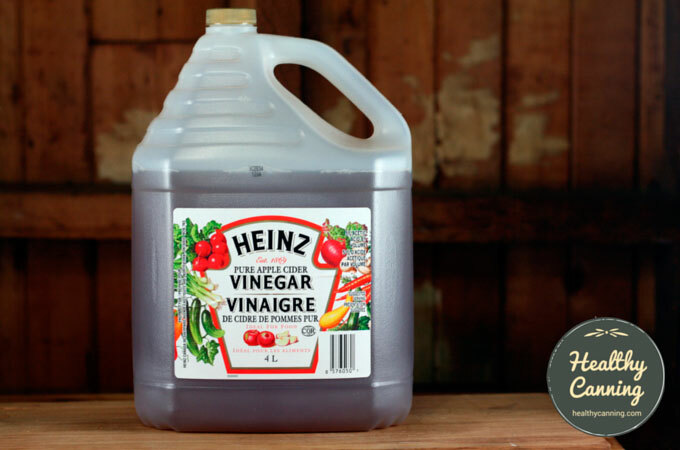 Since cider vinegar may discolor produce, use white vinegar when color retention is important. Ball Blue Book. Edition 37. 2014. Page 72. 1. ↑ Fontenot, Beth. The sour truth about apple cider vinegar – evaluation of therapeutic use. Nutrition Forum, Nov-Dec, 1997. 2. ↑ Cider Vinegar. 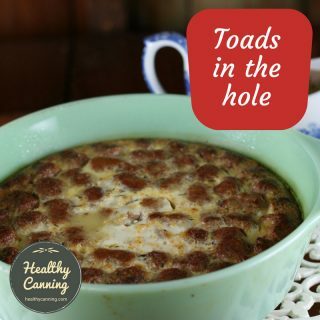 CooksInfo.com Accessed July 2016. 3. ↑ Ziedrich, Linda. The Joy of Pickling. Boston, Massachusetts: The Harvard Common Press. 1998. Page 10. 4. ↑ Canada. Food and Drug Regulations Consolidation. C.R.C., c. 870. Division 19. 7 November 2014. Page 755. 5. ↑ USDA Radio service. Homemaker’s News. Pointers on Pickles. 3 September 1940. Page 1. 6. ↑ Ball Blue Book. Edition 26. 1953. Page 34. 7. ↑ Ball Blue Book. Edition 27. 1963. Page 53. 8. ↑ Ball Blue Book. Edition 29. 1972. Page 55. 9. ↑ Ball Blue Book. Edition 37. 2014. Page 72.